How do you start building a professional Travel & Tourism career in the hospitality industry? 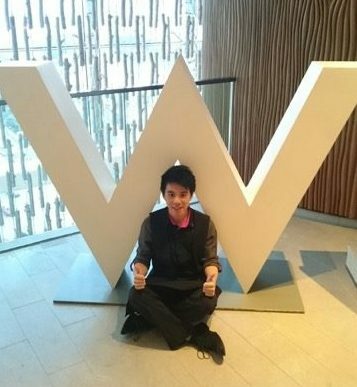 If you are Brando Tang, a graduate hotel trainee at the W Hotel Hong Kong, the short answer is: you get a diploma at a community college with travel and tourism studies, then a management degree at a university while working hard at various hotels to help pay the university fees and gain experience. Then you get hired at the age of 20 as a trainee at W Hotels to learn all aspects of the business. But where and when does the interest in Travel & Tourism come from? It is always interesting to hear how people find their careers, so we asked Brando. A few years ago, at the age of 16, Brando was a student at the Kwun Tong Government Secondary School in Hong Kong. There he was enrolled in the Tourism and Hospitality Studies (THS) program, which is anchored by the course provided by GTTP Hong Hong. Brando explained that the THS program is composed of five modules including: Introduction to Tourism, Introduction to Hospitality, Destination Geography, Customer Relations & Services, and Trend & Issues in the Tourism and Hospitality Industry. “THS is not just a single academic subject focused on theoretical concepts,” he said. “It covers a wide range of knowledge such as geography, history and humanities. Moreover, part of the syllabus also encapsulates some essential skills in the business world. Not only does the program’s breadth of coverage make it more interesting for the students to study, but also it widens the horizons of students’ understanding of the tourism and hospitality industry. 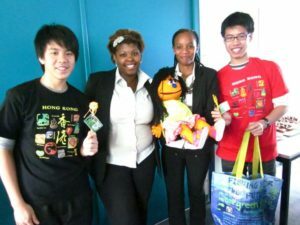 “The school’s THS program included materials called Passport to The World designed by the GTTP. It has been widely adopted as supplementary learning materials and teaching materials. 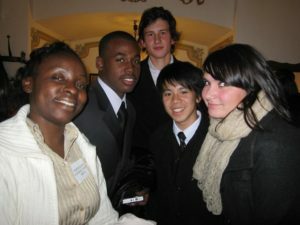 It opened my eyes to the hospitality industry in other parts of the world. Question: How did you benefit from that course? 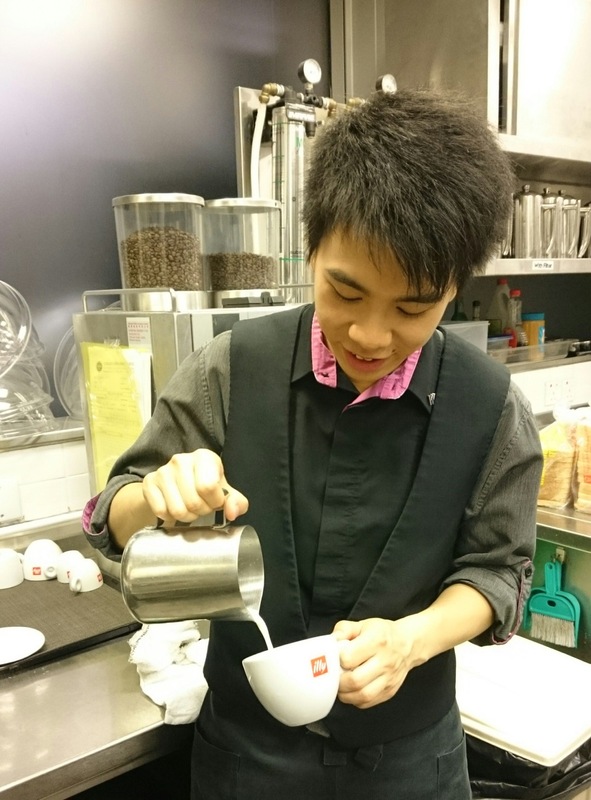 Brando: The course allowed me to acquire the basic understanding of the tourism system which is a pillar of the global world, and specifically enhanced my awareness of the important role of tourism and hospitality industry in Hong Kong. The course also sparked my interest in pursuing my post-secondary study in the tourism and hospitality program. Much more importantly, it aroused my curiosity about working in the hotel sector. Why do you think GTTP is a successful program in your school and in Hong Kong? The GTTP provides a good platform for Hong Kong students to connect with the world and to gain global vision. What do you like most about the GTTP? I like how the GTTP continually sponsors three global competitions every year and how the organization gathers students and teachers from around the world to share ideas in relation to tourism and hospitality studies. In fact, among all 180 local secondary schools in Hong Kong, rarely has there been such an international scale competition involving the collaboration with both industry practitioners and educators from the University level. It is so great that students can gain international exposure and are able to conduct an in-depth study topic in their own countries that is highly topical within the knowledge and practice of tourism and hospitality industry. For example, the 2010 GTTP Research Award Competition featured the case study theme of “Green Tourism.” Our team chose Tai Po, a district area of Hong Kong, to examine the possibilities of developing it as a place to promote green tourism in Hong Kong. What did you like most about the GTTP Research Award Student/Teacher Conference in Munich? Not only did the conference allow me to share my research findings with all those international counterparts, but also it cultivated my enthusiasm in tourism and hospitality studies. Le Meridien Munich offered all delegates an exclusive opportunity to explore an array of “back of house” areas that are critical to the operation. By having such a visit, I came to understand that there is a bustle of activity behind the glitz in the hotel. Furthermore, Le Meridien Munich gave a lecture to share the updates of the hotel’s green and sustainable practices. In addition, I am so grateful that the GTTP had arranged a city tour to the delegates so that we could explore the city’s culture and history. Moreover, the GTTP had also arranged a nice dinner in Munich’s Old Town, with all those committed industry partners (e.g. representatives from American Express, Starwood hotels and other industry partners), which allowed us to learn more deeply from their success story while at the same time enjoying a taste of genuine Bavarian cuisine. What do you remember most about the GTTP Research competition? In the very beginning, I participated in the research award competition mainly for fun and my interest in the topic of green tourism, and I never thought that I could represent Hong Kong to attend such an international conference. The moment that the result was announced I was really in shock. I never thought I could have won the competition. I also remember a quote from my supervisor, Ms Tammy Lee – Your strength isn’t held by you alone, but also by the people who march with you. Honestly, I felt inadequate in the preparation of the research study. I often believe that I was not competitive in comparison with other students. Nevertheless, thanks to Ms Lee’s continual support and guidance, I started to get on the right track. I learned how to collect and analyze data, and to draw a conclusion and recommendation for the study. 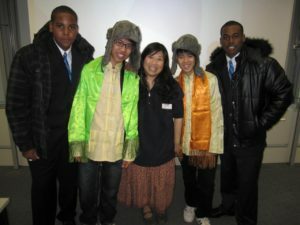 At last, I could even handle a 30-min oral presentation in front of all students coming from different countries. What a big change in my life! On the other hand, the GTTP Research competition brought an invaluable eye-opener for me. The competition offered me a rare opportunity to travel. To be honest, it was my first-time experience of taking a long haul flight. I have been only travelled within China and the nearby Asian countries. Do you stay in touch with any of the students you met at the conference? I am in touch with Mr. Jezeel Martin, from GTTP Jamaica. Thanks to the technological advancements, the world is getting smaller through the connection of the Internet. I have been in touch with him via Facebook and Instagram. It is always amusing that the Internet allows us to stay connected, chat live, and share pictures. Another student is Mr. Tom Chan, from Hong Kong, my group mate who worked together with me for the GTTP Research Award competition. Even right now, we keep a close contact although he chooses now to work in different professions other than the hospitality industry. What do you hope your next assignment will be at W Hotel? I want to continually grow to be an all-rounded person and take up more new challenges and responsibilities in the years to come. Possibly I would like to participate in cross-training between different hotel departments, such as the rooms division department and marketing. Besides, I would like to take up job placement opportunities in other cities or countries. Being a young man, I am really eager to try different things in my young age. What are your further career plans? 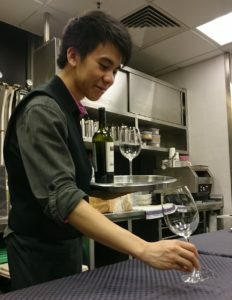 For my short term career goals, I want to build a strong foundation and to show up my commitment to the hospitality industry, working for a company that I respect, such as W Hong Kong, for a prolonged period. For my long term career goals, I want get more in-depth understanding of the industry as a whole so that I can accumulate more solid work experience to use as a springboard to different hotel management positions (e.g. work from supervisory level to managerial level in the future). What do you like about the Hospitality industry? It is all about diversity and opportunity. The hospitality industry has given me the opportunity to meet and socialize with other people with different cultural backgrounds, different ages, personalities and ethnicities. Moreover, the industry allows me to develop myself, both in terms of profession and as a person. The industry always presents a strong commitment to bring out the best for the young people through intensive training, career progression opportunity and personal development. Therefore, I believe that I could make use of the dynamic international setting and seize any opportunities provided by the hospitality industry now and in the future.